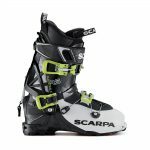 This season I took the plunge and went for a touring specific boot that was more focussed on the uphill than any other boot I’ve ever ridden. Safe to say, I found an awesome alpine ally in the Gea RS that made the ascent more enjoyable than ever before without sacrificing performance on the way down. 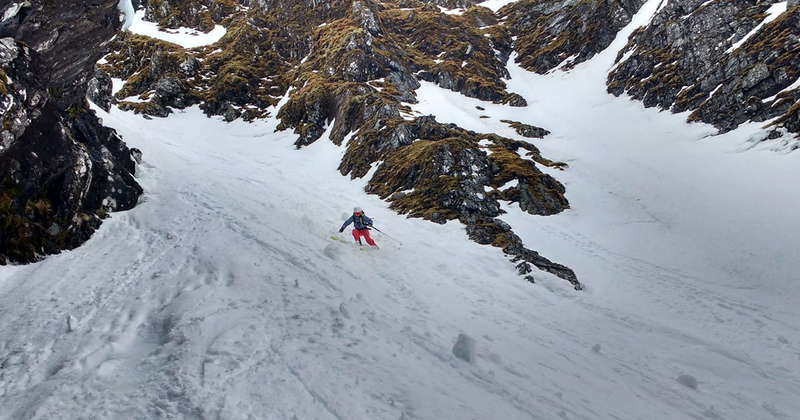 So far, I’ve used them for day ski touring in the Alps and in Scotland, on some very simple terrain with clients, in a very firm, steep couloir, knee deep pow and in soft spring corn. On all occasions, I felt comfortable to crank a turn and never once did I feel I was heading over the handlebars. 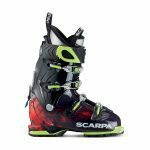 I’d always been skeptical of touring boots with my foot firmly in the race style boot camp since my background was in downhill skiing, but I was pleasantly surprised by the stiffness of the Gea once it is fixed in place for the descent. 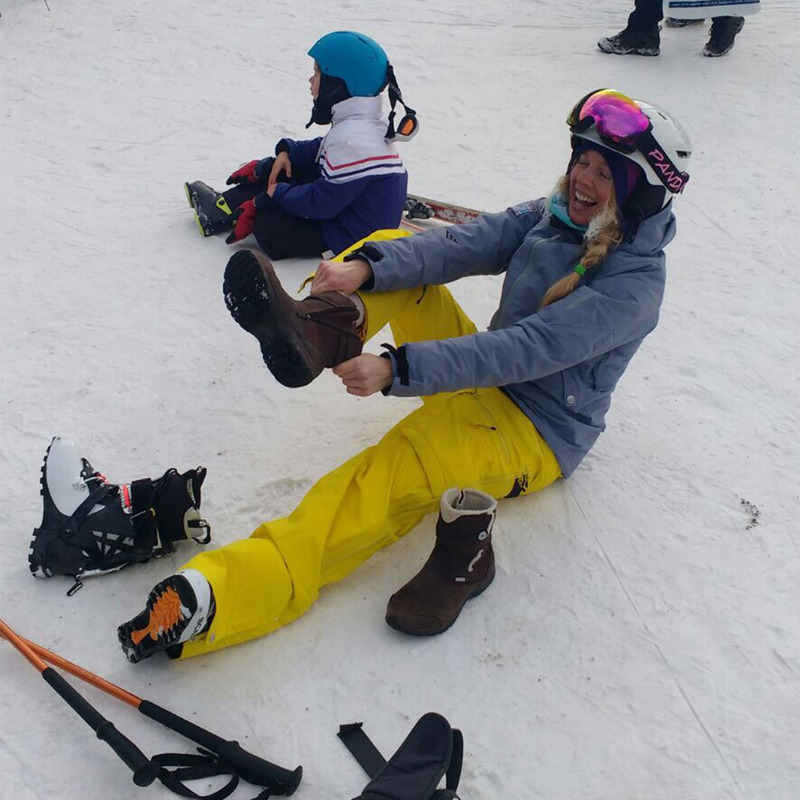 The boot feels quite hard and the inner is certainly thin, but by surrendering extra padding around the foot, the boot’s overall weight is further reduced and with a little personalisation and blowing out, the boot felt comfortable and was more than warm enough. 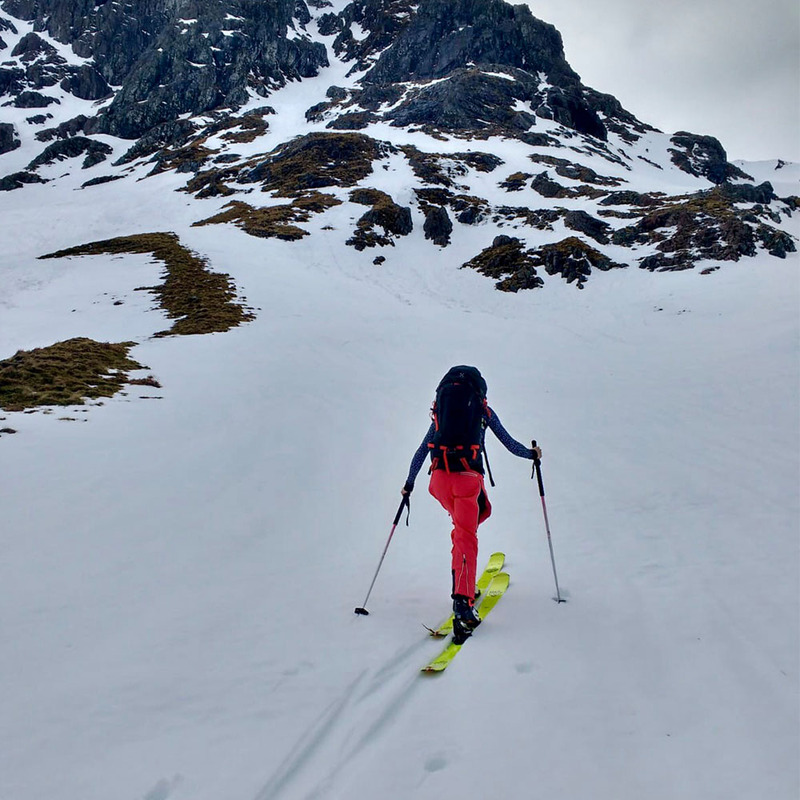 At 2,320g per pair, these boots feel featherweight and have an incredible ankle flex (23 degrees) that allows for easy walking and skinning movements. Occasionally there’s been no need for hiking boots on the classic Scottish walk in! I also love the simple black and white design with the bright orange flashes and the easy finger pull power strap. The Quick Step In insert makes it super easy to guide the pins and clip into my Marker King Pins and the chunky Vibram sole gave extra confidence when scrabbling around on rock or boot packing. The minimalist outer shell took a little getting used to, but once I’d worked out which part of the tongue went where, the boot was simple to slot together. The shape of my foot means that it’s a little difficult for me to get it on and off, but once I’m in the boot feels snug and with the help of the HRS Strap that extends across the ankle my foot and heel was neatly in place. I opted to use the inner boot lace-up which stopped any friction, and the great ventilation meant there was no problem with moisture build up. 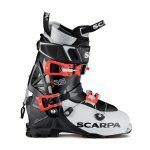 The three buckle design is well executed using a pulley cord system across the top of the foot, and when converting from walk mode to ski mode the simple mechanism at the back of the boot meant there was minimal faff time. I teamed my Geas up with the Black Crows Orb Freebird and Marker King Pins which has made for a really solid touring setup that I feel happy attacking all conditions with. 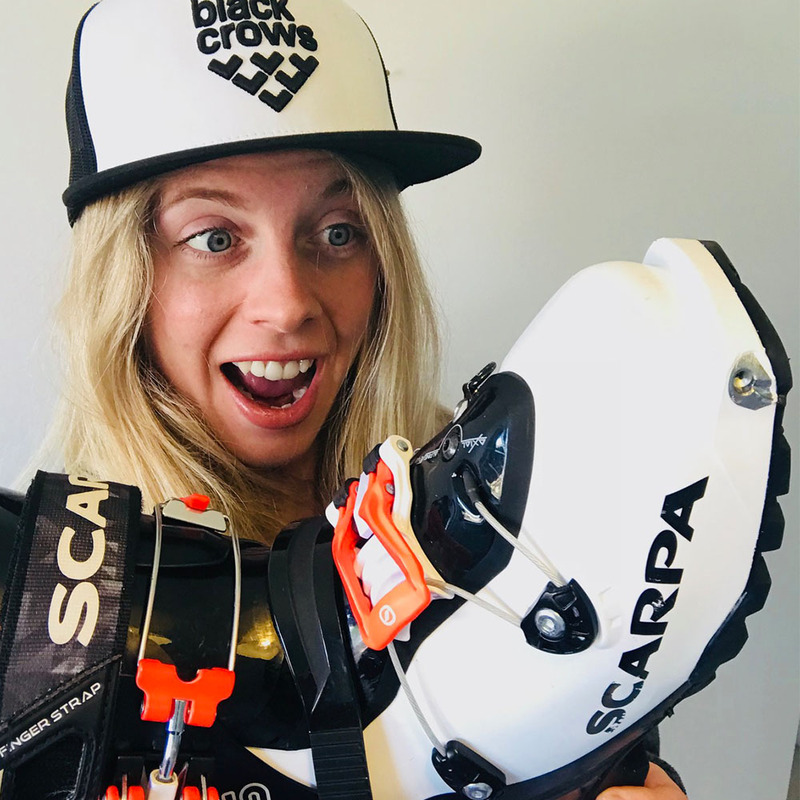 Overall I’m extremely impressed with this touring boot: a lightweight yet solid downhill demon with a flexible, uphill alter ego. 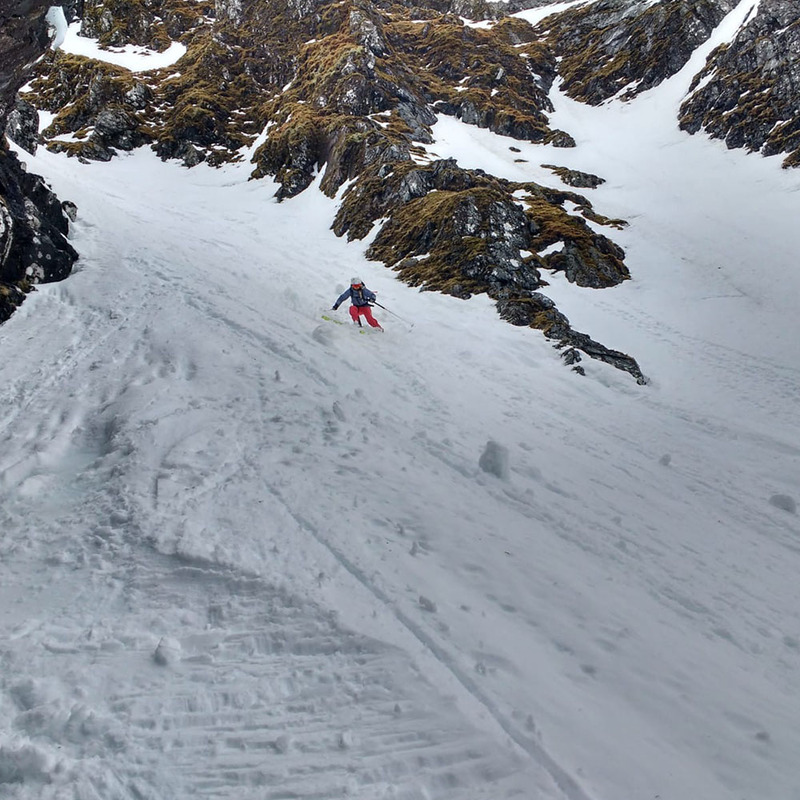 I’m very happy taking these boots on all types of terrain have had a great time chasing the Scottish spring slush over the last few weeks! 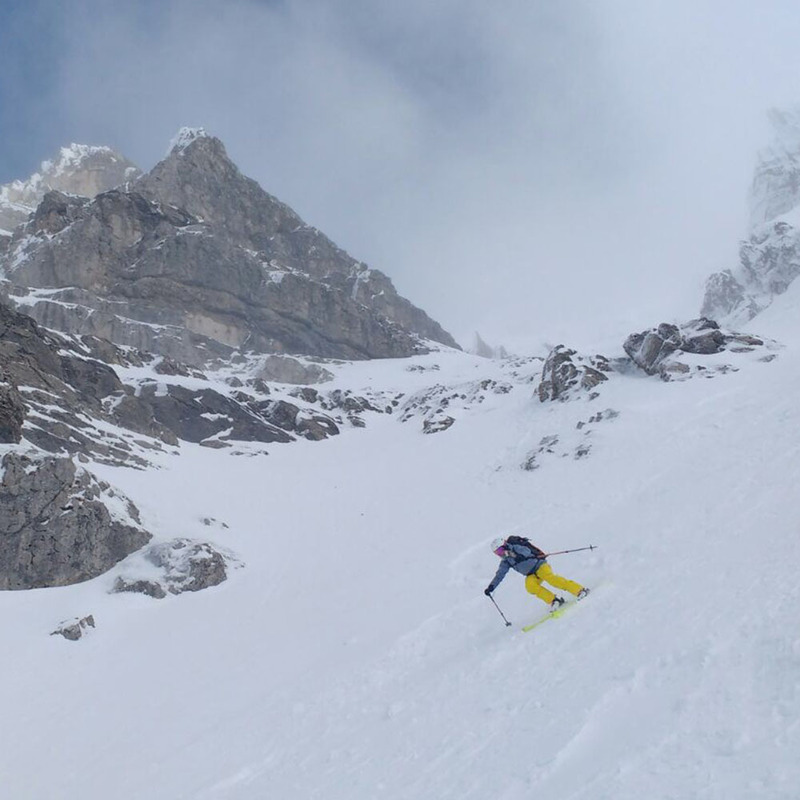 Get more info on the Gea RS and its touring brother the Maestrale RS by taking a look at the Scarpa Ski range. 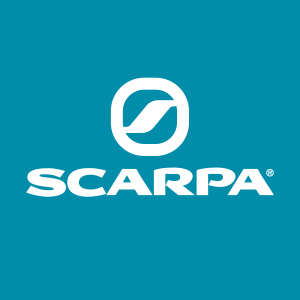 You can find out more about Amy by checking out her Scarpa Team profile.